formulated with a more agressive adhesive. 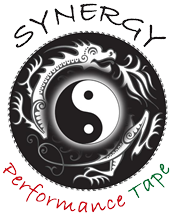 Performance Tape is available in multiple colors; Black, Blue, Beige, Pink, Yellow, Red and Green. They can be purchased in a box of 12 rolls for $80.00 plus shipping and handling. All colours are available in the shop.